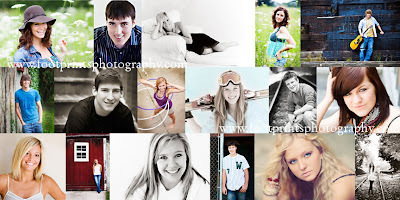 Footprints Photography ® is looking for up to 20 Class of 2011 models and reps in the following school districts... Ann Arbor, Birmingham, Brighton, Bloomfield Hills, Clarkston, Farmington, Hartland, Howell, Plymouth, Northville, and Rochester. Help spread the word that if you are tired of the same senior portrait work, Footprints has something new. If you are in a school district not listed, don't hold back, give us a call and we can set you and a couple friends up as well. It's a sweet offer, as you can see but that's not all. You will also be registered to win $1000 print credit and a family session as well. Oh how I wish I could take part in this! If only I was still a senior! !